I’ve recently been reading a bioRxiv posting by X. Lan and J. Pritchard, Long-term survival of duplicate genes despite absence of subfunctionalized expression (2015) that examines the question of whether gene expression data (from human and mouse tissues) supports a model of duplicate preservation by subfunctionalization. Dean et al. Pervasive and Persistent Redundancy among Duplicated Genes in Yeast, PLoS Genetics, 2008. M. Kellis, B.W. Birren and E.S. Lander, Proof and evolutionary analysis of ancient genome duplication in the yeast Saccharomyces cerevisae, Nature 2004. “Strikingly, in nearly every case (95%), accelerated evolution was confined to only one of the two paralogues. 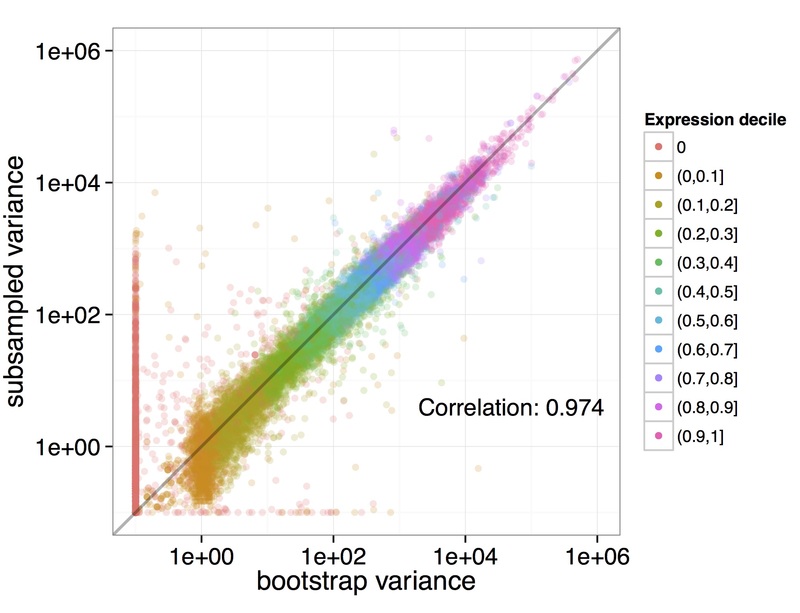 This strongly supports the model in which one of the paralogues retained an ancestral function while the other, relieved of this selective constraint, was free to evolve more rapidly”. The authors identified 457 duplicated gene pairs that arose by whole genome duplication (for a total of 914 genes) in yeast. Of the 457 pairs 76 showed accelerated (protein) evolution in S. cerevisiae. The term “accelerated” was defined to relate to amino acid substitution rates in S. cerevisiae, which were required to be 50% faster than those in another yeast species, K. waltii. 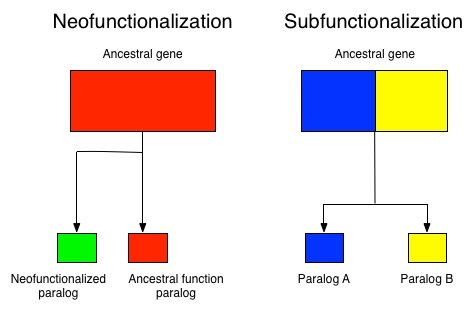 Of the 76 genes, only four pairs were accelerated in both paralogs. Therefore 72 gene pairs showed acceleration in only one paralog (72/76 = 95%). to the person who can best justify a reasonable null model, together with a p-value (p) for the phrase “Strikingly, 95% of cases of accelerated evolution involve only one member of a gene pair” in the abstract of the Kellis-Birren-Lander paper. Notice the smaller the (justifiable) p-value someone can come up with, the larger the prize will be. Bonus: explain in your own words how you think the paper was accepted to Nature without the authors having to justify their use of the word “strikingly” for a main result of the paper, and in a timeframe consisting of submission on December 17th 2003 (just three days before Hanukkah and one week before Christmas) and acceptance January 19th 2004 (Martin Luther King Jr. day). To be eligible for the prize entries must be submitted as comments on this blog post by 11:59pm EST on Sunday May 31st June 7th, 2015 and they must be submitted with a valid e-mail address. I will keep the name (and e-mail address) of the winner anonymous if they wish (this can be ensured by using a pseudonym when submitting the entry as a comment). The prize, if awarded, will go to the person submitting the most complete, best explained solution that has a p–value calculation that is correct according to the model proposed. Preference will be given to submission from students, especially undergraduates, but individuals in any stage of their career, and from anywhere in the world, are encouraged to submit solutions. I reserve the right to interpret the phrase “reasonable null model” in a way that is consistent with its use in the scientific community and I reserve the right to not award the prize if no good/correct solutions are offered. Participants do not have to answer the bonus question to win. The most embarrassing citation ever? Using Flux Capacitor is equivalent to throwing out 90% of the data! I added that “the methods description in the Online Methods of Montgomery et al. can only be (politely) described as word salad” (after explaining that the methods underlying the program were never published, except for a brief mention in that paper). I referred to the sole figure in Montgomery et al. as a “completely useless” description of the method (and showed that it contained errors). I highlighted the fact that many aspects of Flux Capacitor, its description and documentation provided on its website were “incoherent”. Can we agree that this description is not flattering? Ummm…. wait… WHAT THE FLUX? The authors actually used Flux Capacitor for their analysis, and are citing my blog at https://liorpachter.wordpress.com/tag/flux-capacitor/ as the definitive reference for the program. Wait, what again?? They used my blog post as a reference for the method??? This is like [[ readers are invited to leave a comment offering a suitable analogy ]].